A Prominent Hill worker. Image: OZ Minerals. OZ Minerals will focus on a series of project developments in 2019 after generating $1.1 billion in net revenues and exceeding its production guidance last year. 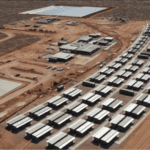 The cashed-up producer, which possesses a balance of $505 million, is delivering growth projects at Prominent Hill and Carrapateena in South Australia. OZ Minerals today stated in its quarterly report that it would concentrate on ramping up Prominent Hill to an underground capacity to 3.7–4 million tonnes. Prominent Hill produced 110,111 tonnes of copper and 130,856 ounces of gold in the 2018 financial year. The site’s copper production saw an 8 per cent drop in the fourth quarter to 26,599 tonnes, while gold was up around 10 per cent to 37,719 ounces. OZ Minerals extended the life of the operation by one year to 2030 late last year after securing a 2 per cent increase in ore reserves at the mine’s underground component. Prominent Hill’s open pit component, Malu, concluded operations in April 2018 after more than 10 years of mining. The company will commence drilling in the first quarter of the year, with haulage studies and gold processing trials to be completed by the third quarter and first half of the year respectively. OZ also reported that a scoping study for expansion of the developing Carrapateena copper-gold project (also in South Australia) is being finalised as the project undergoes phase two construction. The company plans to develop the project’s capacity to 4.25 million tonnes per year (65,000 tonnes of copper and 67,000 ounces of gold) with a 20-year mine life. “At Carrapateena, construction and operational efforts are geared towards achieving operational readiness and safe commissioning in [the fourth quarter],” said company managing director and chief executive officer Andrew Cole. The West Musgrave copper-nickel project in Western Australia is also expected to switch from pre-feasibility study (PFS) to feasibility study (FS) status in 2019. OZ Minerals and joint venture partner Cassini Resources are exploring a PFS at Musgrave to add 10 million tonnes of annual capacity at the mine. 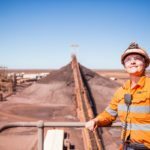 OZ Minerals, which owns 51 per cent of the project, has also indicated in a list of key milestones for 2019 that it is working towards expanding its earn-in to 70 per cent in the second quarter. Outside of Australia, the company will also work on developing its Brazilian projects; it is nearing completion of the operating Antas mine’s resource update. OZ Minerals also completed 2762 metres of drilling in the quarter ending December 31 at the developing CentroGold gold project in Brazil and the company expects to complete the PFS sometime in the second quarter. 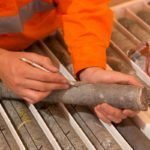 “2018 was a strong year all round for OZ Minerals. Operationally this marks the fourth year we have met or exceeded copper guidance at Prominent Hill,” said Cole.